I heard from my parents yesterday that they received the January 2015 issue of Art Jewelry which has a photo of my earrings. I mentioned this in a post from July, but I had forgotten all about it, so it was like a surprise when I found out. I've been working on CAD consistently since my last post. 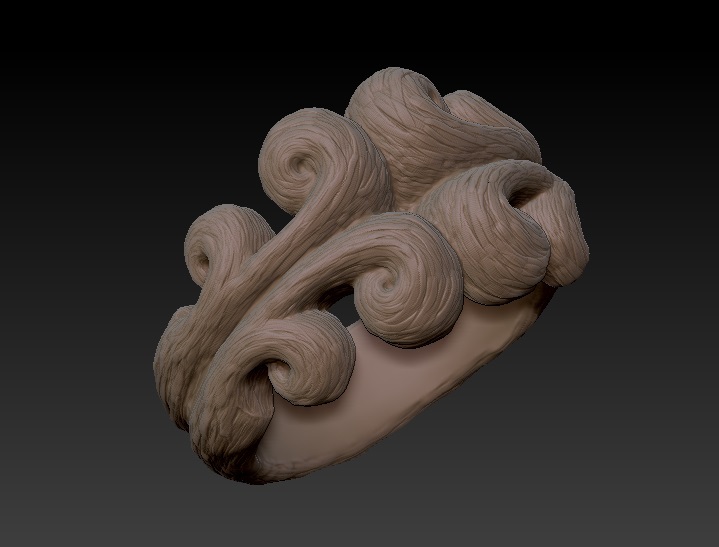 Mostly ZBrush. 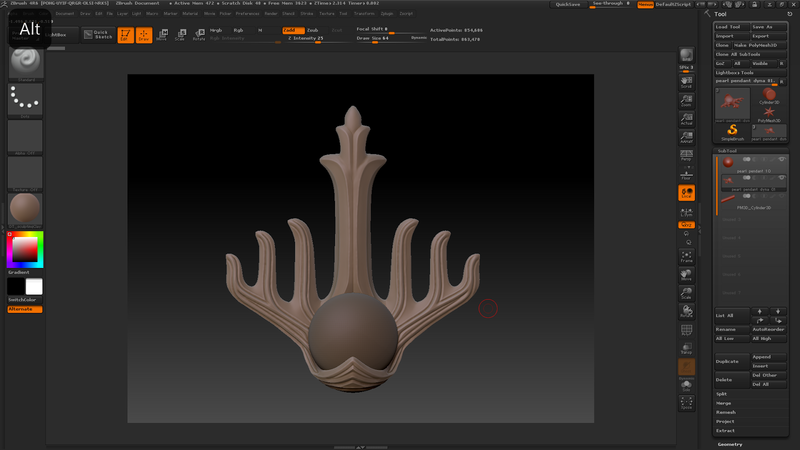 I really enjoy it but I've learned it well enough that I am trying to put more time in to learning Rhino now. I have also started learning MODO a little. 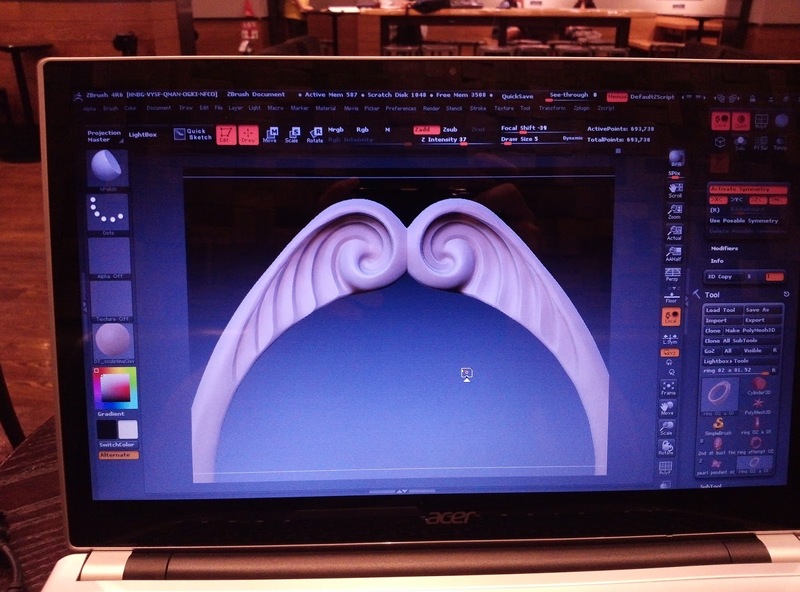 It seems it will be really useful to use in conjunction with ZBrush. 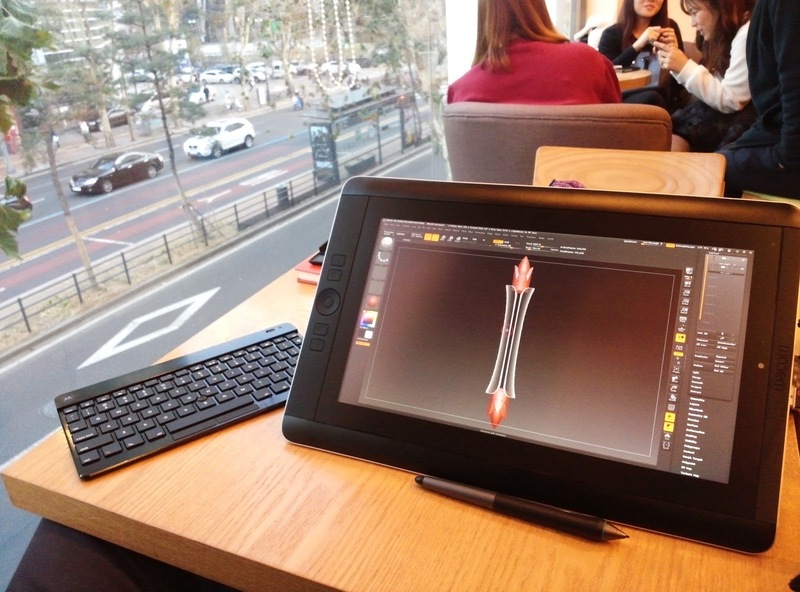 In September I got a Wacom Cintiq Companion for ZBrush. I love it. There's a couple things they could have done better, but overall it is great. 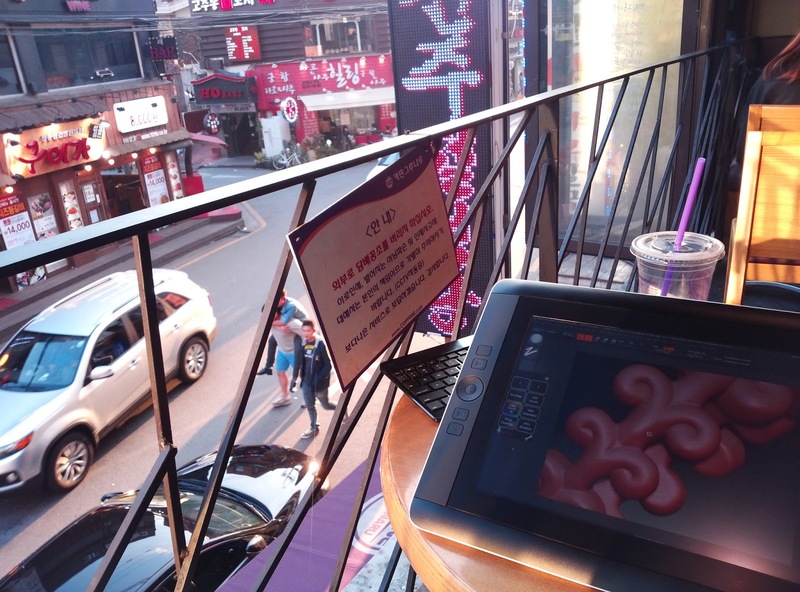 Working directly on the screen is much better than looking at the cursor on the screen while using the pen someplace else. I rarely do any work at home, that's why I got the Companion rather than a normal Cintiq. I recently had Shapeways, a 3D printing company, 3D print some things for me. A couple waxes, some plastic pieces, and one steel piece. My friend in the US is casting the waxes for me. After they are done my parents are going to send everything to me. These are the first things I have had 3D printed. I have only seen the pictures my parents sent, but from what I have seen, I am not too impressed with the level of detail. 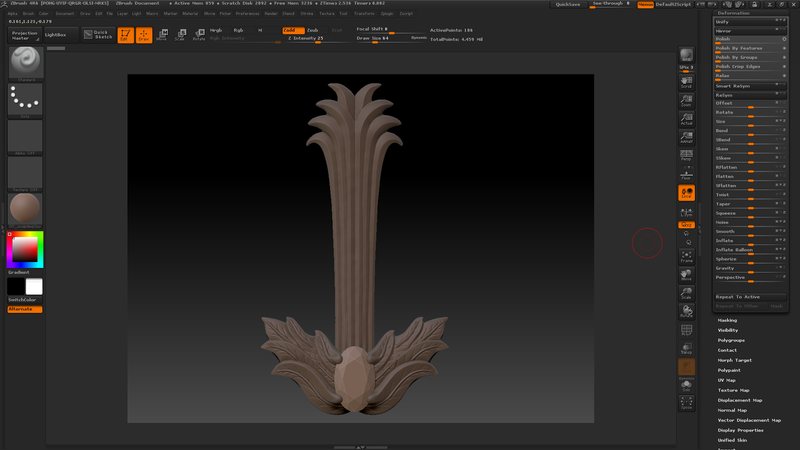 CAD process pics aren't very interesting, so I haven't felt much reason to post them. Here are some finished, or nearly finished designs I have done. 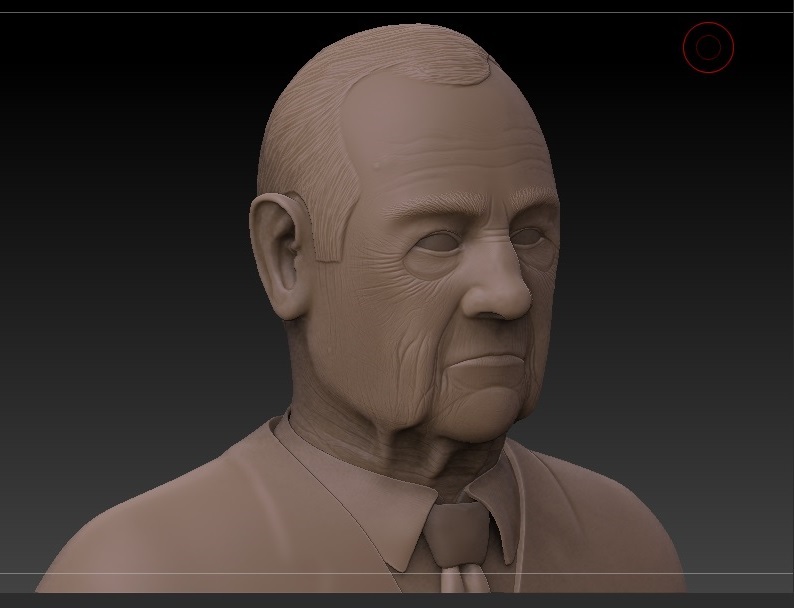 Most of these were primarily done in ZBrush. 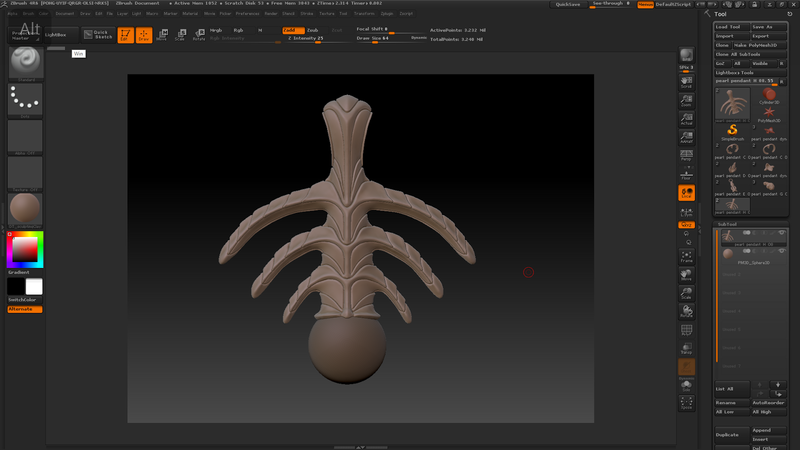 Usually I make the basic shape in Rhino, then import the file to ZBrush to sculpt on it. 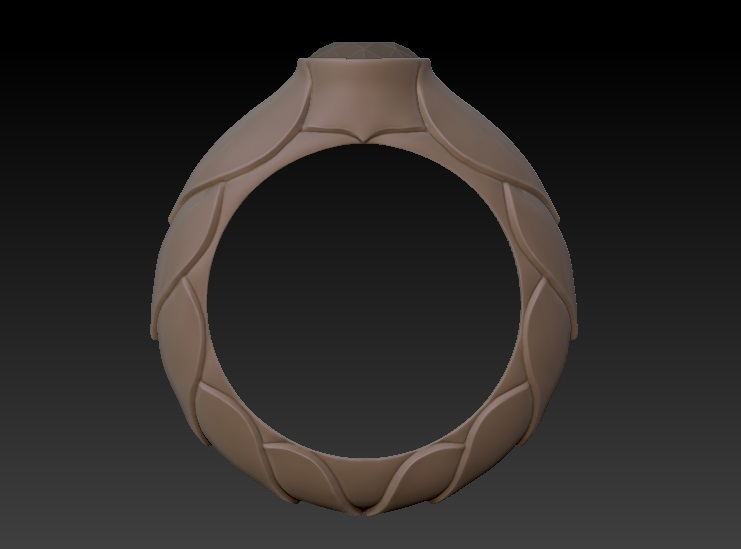 I'm not sure this ring could actually be made in metal and keep all the detail. 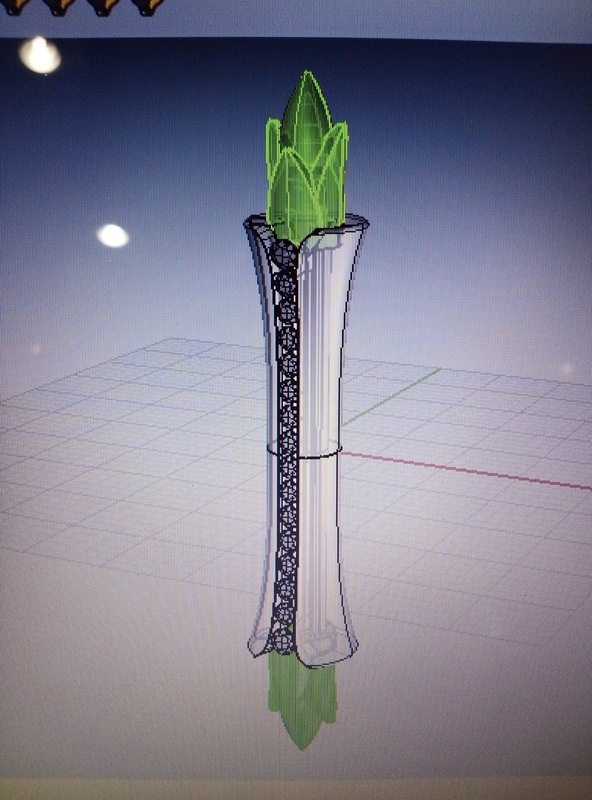 This last one is the only design here that I did completely in Rhino. 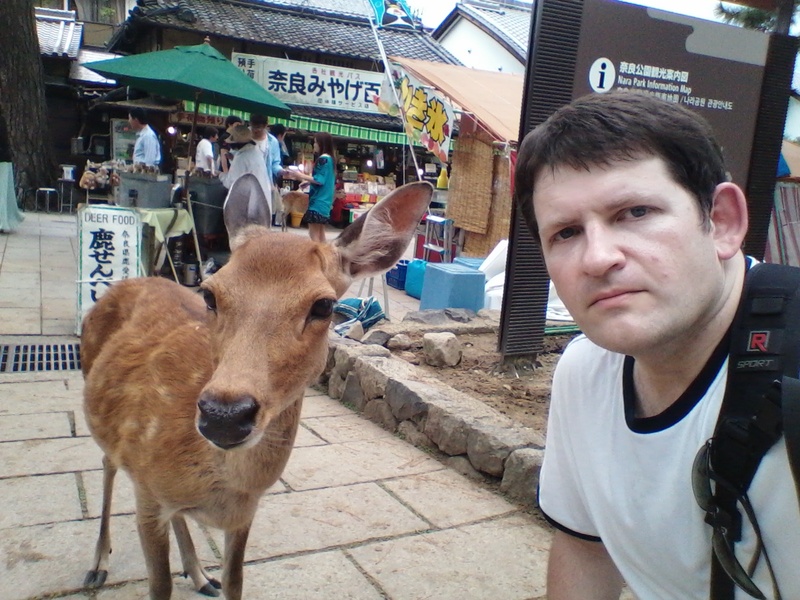 I went to Japan August 9th - 19th. This was my 6th trip there since 1997 and it was great, as usual. I was going to take a boat from Busan, but it was canceled cause of the weather. Luckily I was able to get a flight for not much more than the cost of the boat ticket. 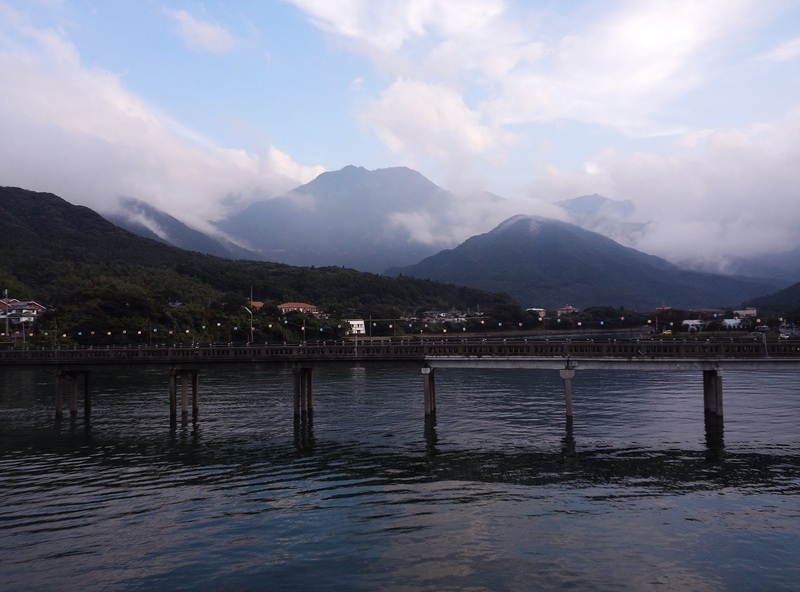 I flew from Seoul to Fukuoka, train to Kagoshima, boat to Yakushima (an island), jetfoil back to Kagoshima, flew to Osaka (KIX), then took trains between Osaka, Kyoto, and Nara. Flew back to Seoul from KIX. 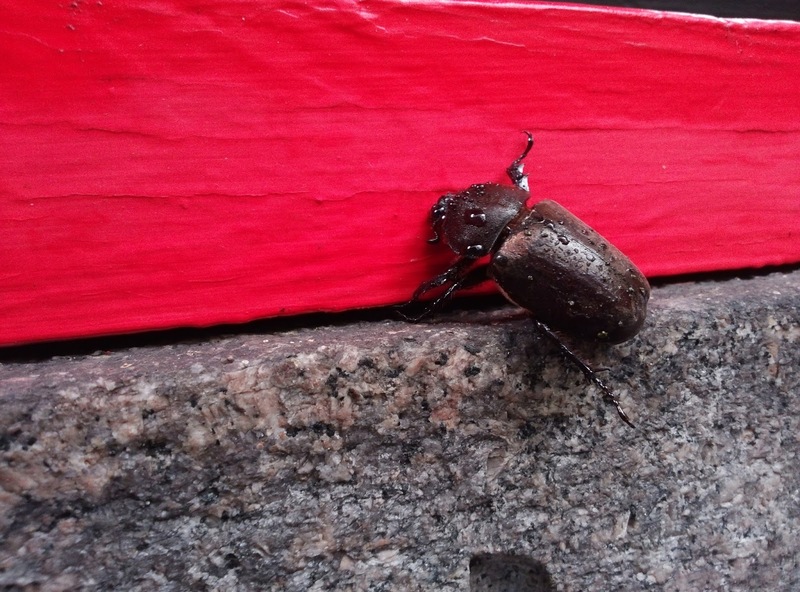 The pics below are from my phone. I haven't had time to go through all the photos I took with my DSLR yet. This is what I brought. 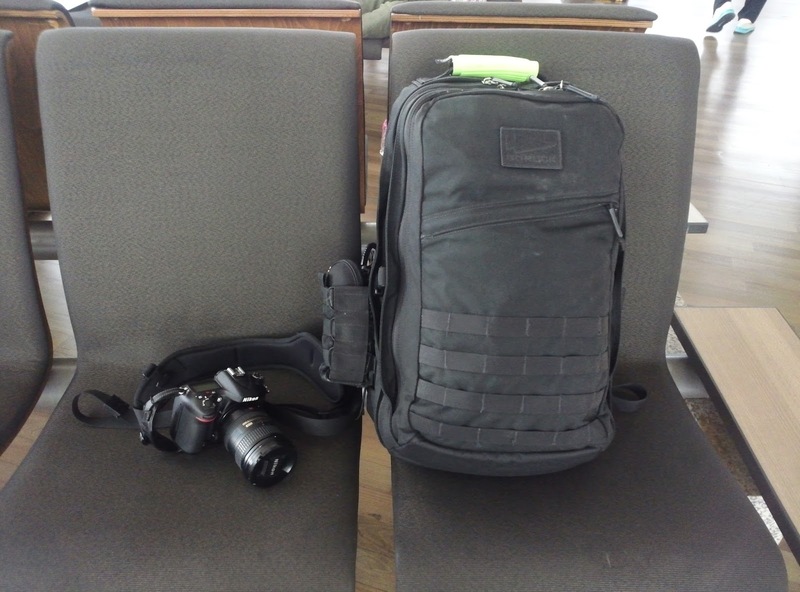 Each trip I try to bring less than the previous trip. I didn't like that my bag was so full and I didn't have room in my bag for my camera. 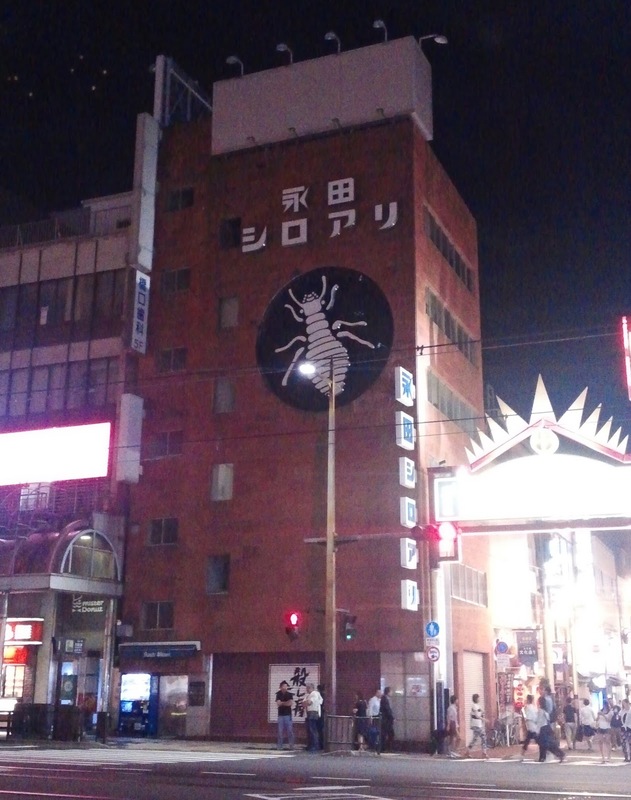 I liked this white ant sign in Kagoshima-shi. 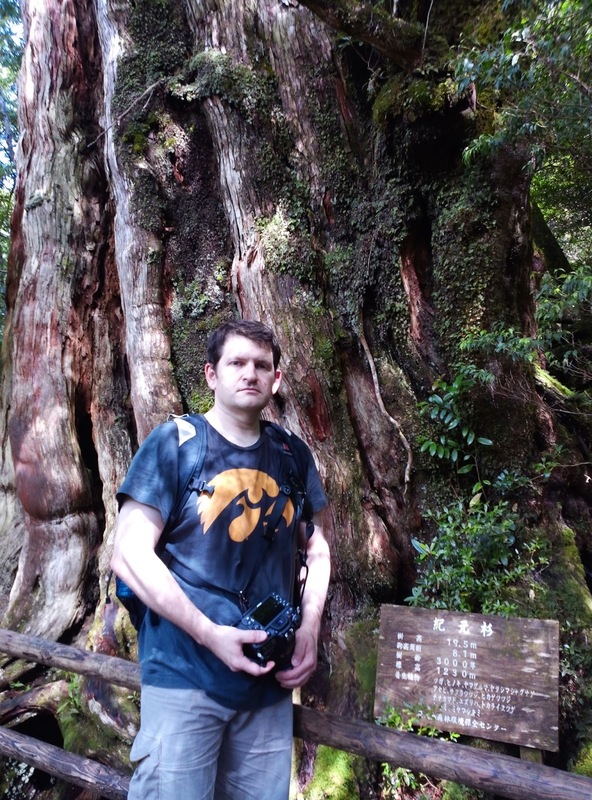 Me in front of a 3000 year old tree. 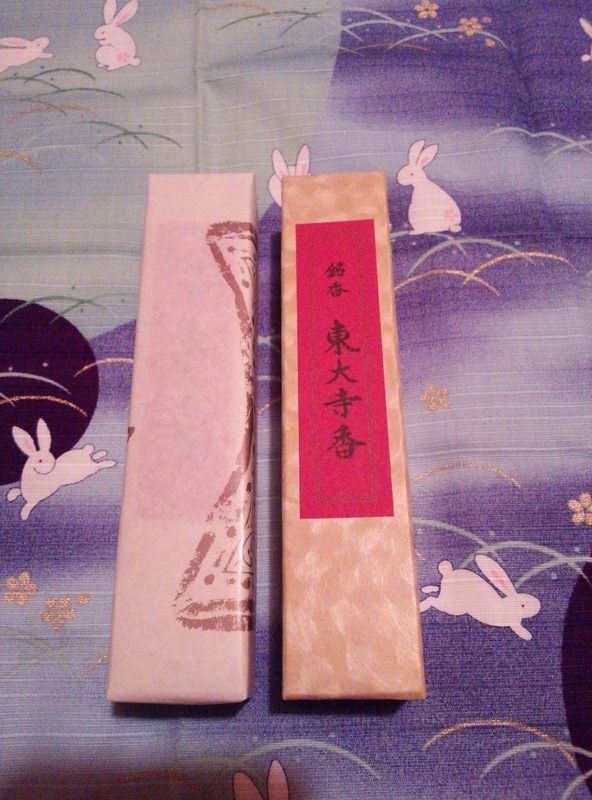 I was finally able to buy more of my favorite incense at Toudaiji. Last time I was there was 2004. 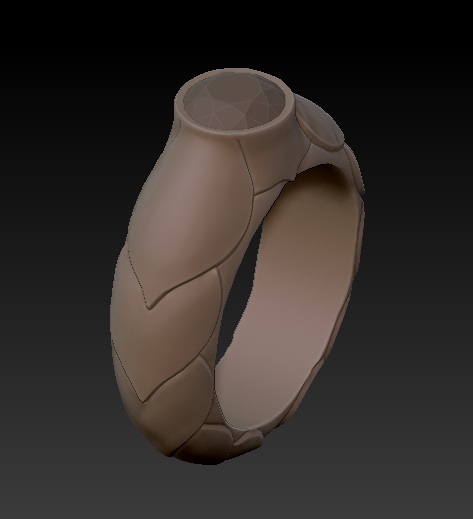 Last week I finally learned to make rings in ZBrush. The reason I couldn't do it before was I didn't know how to cut out the finger hole. 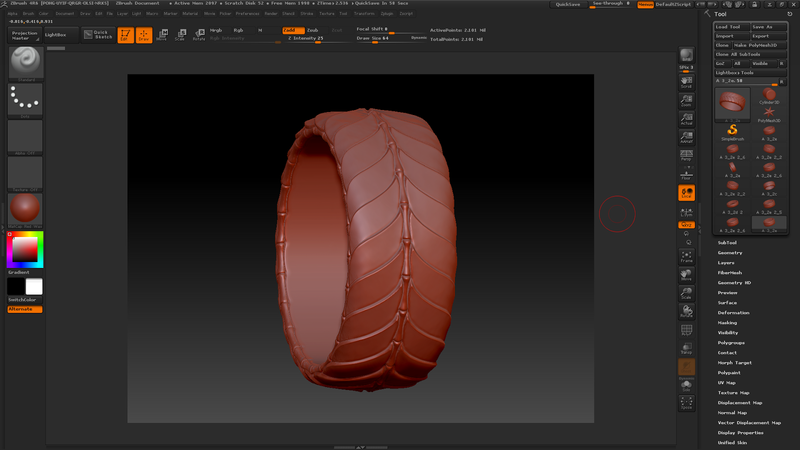 Finally I learned how to do that and have been working on rings constantly since then. I'm going to Japan next month. August 9th - 19th. 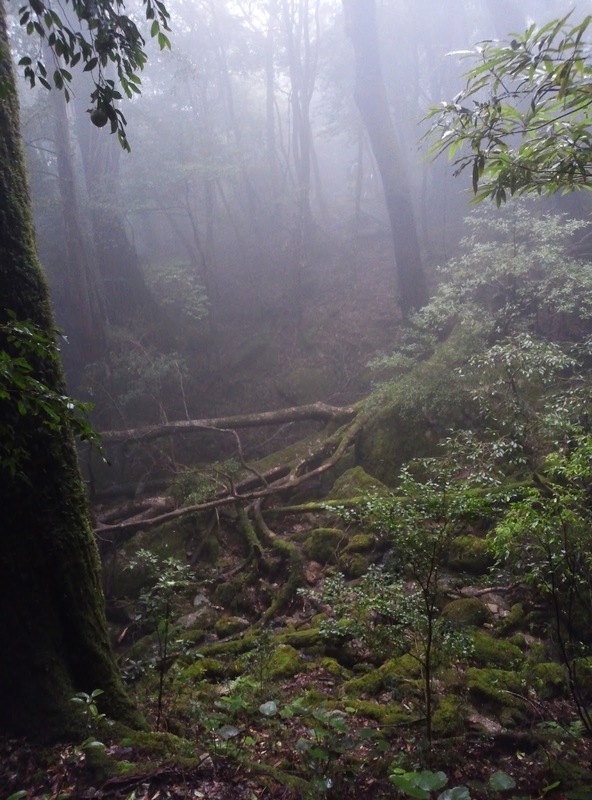 The main purpose of this trip is to go to Yakushima. 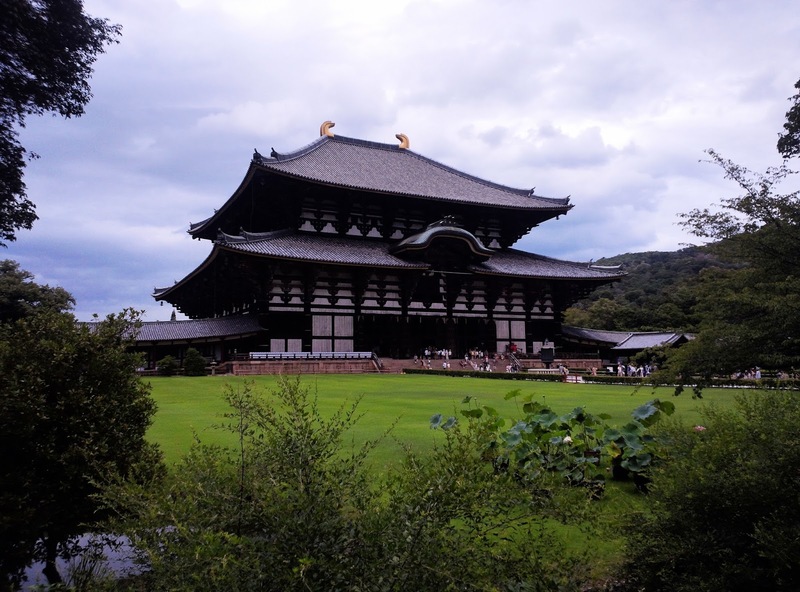 But I will also be going to Osaka and Kyoto. This will be my 6th trip to Japan. Living in Korea, I am so close to Japan, but this will be my first time to go there since I came to Korea. I'll be taking a boat to Fukuoka from Busan and flying back to Seoul from Osaka. 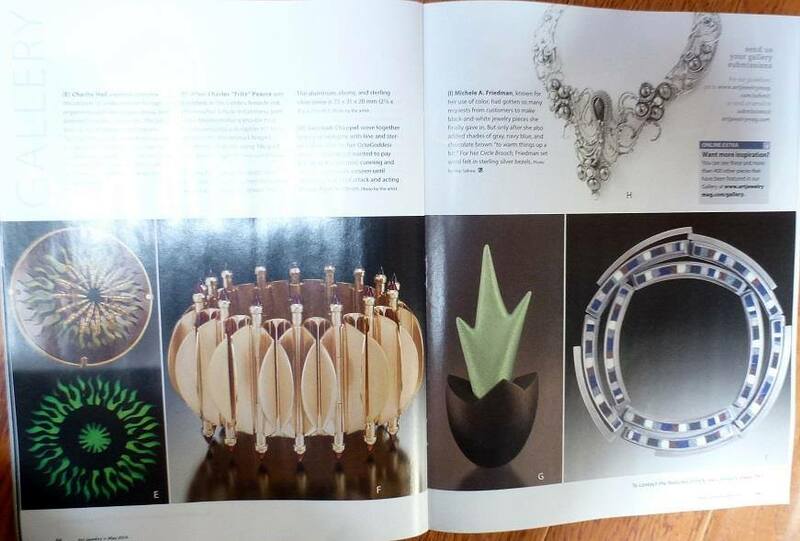 I have some pieces published in Art Jewelry magazine this year. First I had an aluminum and wood piece published in a non-traditional materials gallery in the May issue. 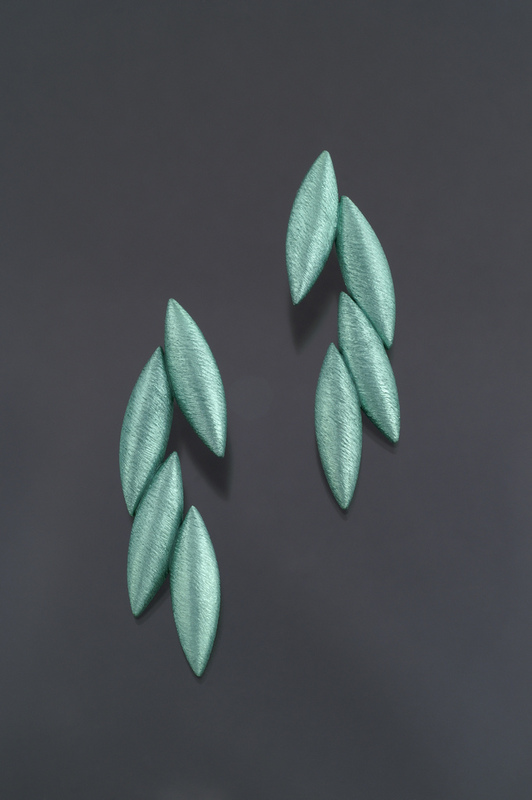 I should have some earrings published in a texturing gallery in who knows which issue, they didn't tell me, and my parents haven't received it in the mail I guess. (Update, July 31) I was supposed to have some earrings published in a gallery of textured jewelry in an issue this year but they didn't have space, so they told me the earrings will appear in a gallery in some future issue. 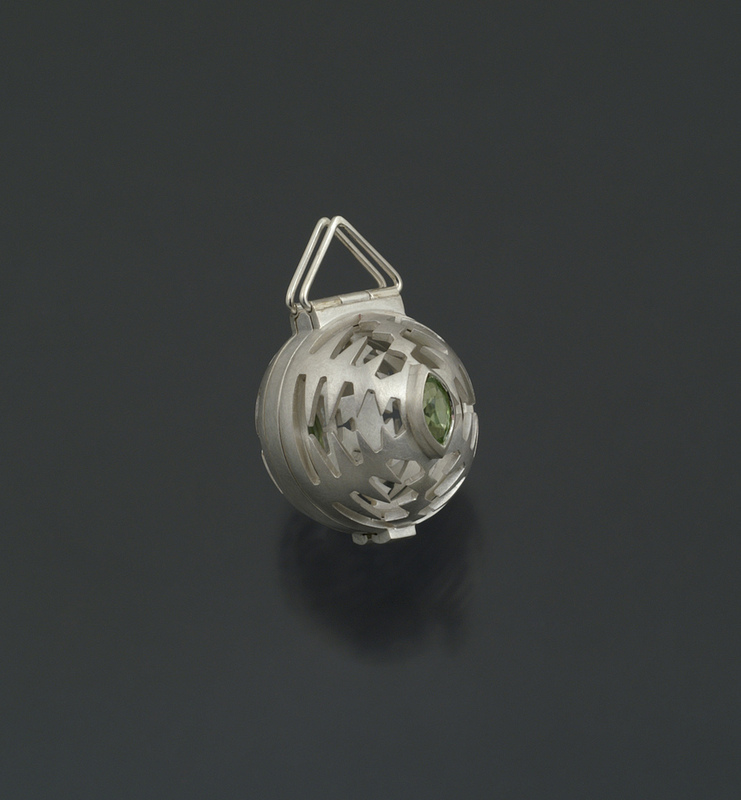 I am told I will also have a pendant published in a sawing and piercing gallery. I guess that will be in some kind of "special publication", being published in August, not a normal monthly issue. I also had at least one piece in the gallery section of their website. I don't keep track of these things very well anymore. If I see a call for entries that I can enter, then I just enter and forget about it. Since I always use my parents address rather than my Korea address, I don't even get to see the book or magazine when it's published. Usually my parents or friend will email a pic of the page I am on. 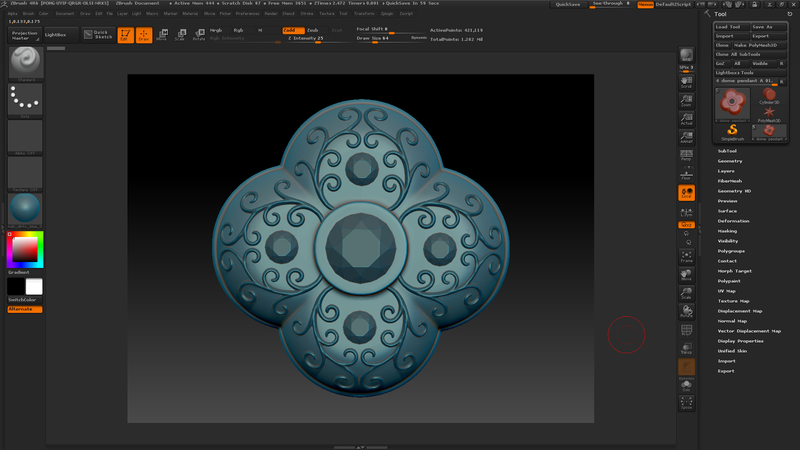 This is a pendant I was making in ZBrush recently. 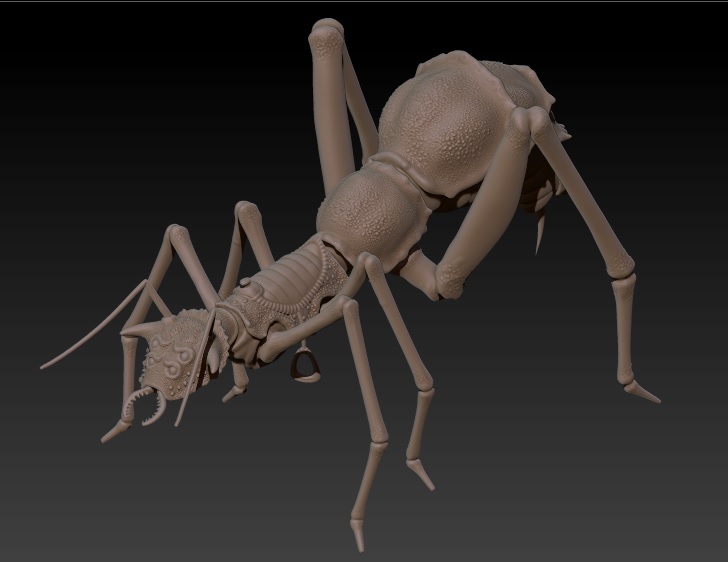 I enjoy working on ZBrush, but one problem I think I will have is that I am working on something enlarged much larger than the size it will be manufactured. I think I am often putting in details that will never show up in the final piece, after 3d printing, casting, and cleaning/polishing. This pendant for example, the finished piece would probably be about 30mm high, but on my computer I am working on details with it enlarged to about 12"+ high. I don't know how fine of details will make it through to the final piece. I still haven't tried printing anything, so I don't know how it will be. 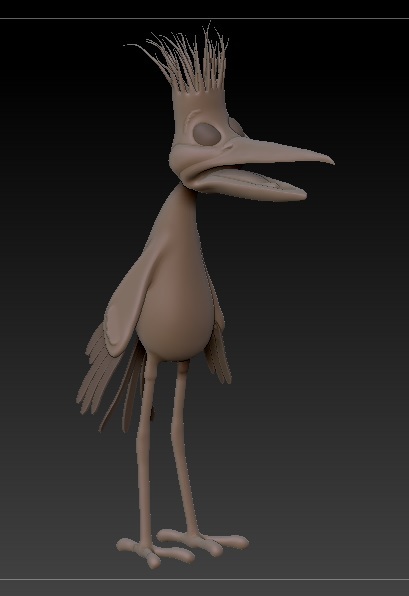 Around January or February I decided to stop trying to learn Rhino and Zbrush at the same time and just concentrate on one for a while. 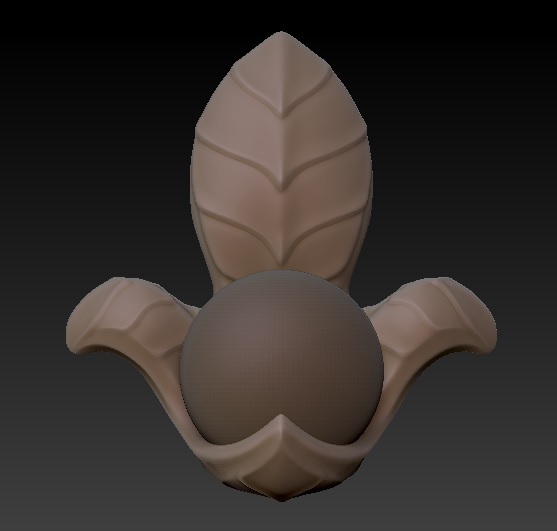 Zbrush was the obvious choice. It was more interesting to me than Rhino and I was already spending much more time on it than Rhino. I also think it's more difficult to learn than Rhino. Mostly I have been doing tutorials on DigitalTutors.com. 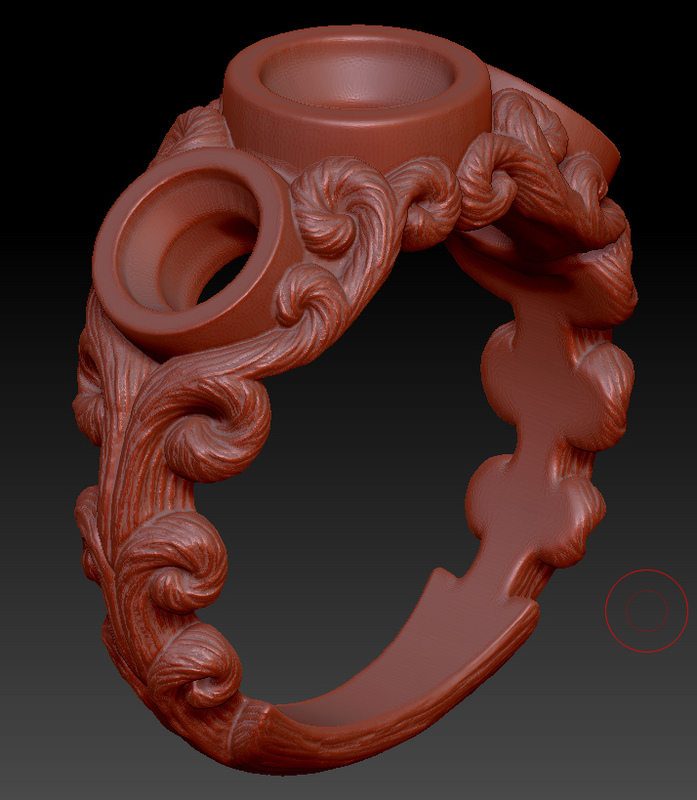 The focus of that site is mostly for graphics, not manufacturing, but I can apply most of it to sculptural jewelry forms. I have 2 pieces in the book Patina: 300+ Coloration Effects for Jewelers & Metalsmiths by Matthew Runfola. My red yen bracelet and Blue Mountain Ring. I haven't seen the book yet, but my friend sent me pics of the pages with my work. Last month I went to the USA from the 14th till the 27th. It was the first time I had been back to the USA since I left February 29th, 2012. I mostly spent the trip eating food I can't get in Korea, meeting friends and shopping for clothes. I also got a new driver's license. Mine expired over a year ago so I had to take the driving test again, which was silly. It was good to drive again, I just wish my parents had a more fun car to drive. I made 2 new lockpicks while I was there, which I just sold last week. The handles are tulipwood. I was too busy to make anything else while I was home. Making these picks felt no different from when I used to make them. I mean I didn't feel my skill had diminished at all. Although with something smaller and more precise like stone setting, I'm sure I have lost some of my skill. I don't know, it's just my guess.